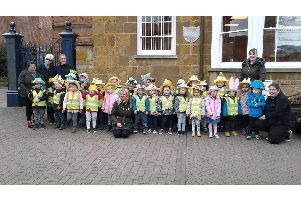 Photographs taken during the successful Lutterworth Santa Fun Run gone on display in the town centre . Hundreds of pictures were taken during the event on November 30, which attracted 1,004 Santa-clad runners. A selection of the pictures are now being displayed at the One Stop Shop in Gilmorton Road and at Lutterworth Library in Geroge Street.